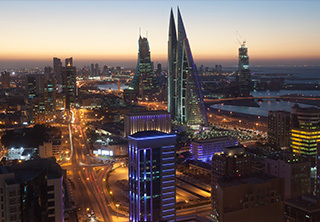 As one of the biggest real estate developments in Bahrain, there are many displayed apartments for rent in Amwaj Island scattered throughout its islands and residential clusters and offering unique standard of living. Amwaj is the largest artificial island in Bahrain, it lies northeast Al Muharraq Island and has many residential, commercial, and recreational developments along with a number of high end five-star hotels. It’s a gated community that sprawls over a total area of 4.31 square kilometers. Developed by Ossos Real Estate Development company, Amwaj boasts high end finishing and development techniques that focus mainly on residents’ total convenience. The project represents a unique illustration of astute human-oriented master planning that redefines the standards of high end style of living. The project features many lush greeneries and parks that can be viewed from many residential units. Also, it houses a lot of amenities that grant visitors nonmatching leisure moments including shopping malls, beaches, fancy restaurants offering a spectrum of different international gastronomies, cafes, promenades, cycling paths, and many other. The available apartments for rent in Amwaj Island vary in size and type. There are studios, regular apartments, penthouses, and duplexes. The flats range in size also from one-bedroom to five- and six-bedroom apartments. The list is rich with various apartments to meet all demands. Either single professionals looking for a lofty residence in Bahrain, small family, or a big family, they can all find suitable apartments in Amwaj. Same as the displayed apartments for rent in Juffair, Seef, Reef Island, and other freehold districts in Bahrain, Amwaj apartments have access to a wide spectrum of amenities. Each apartment building has a fitness gym, swimming pool, sauna, and steam bath. They are also serviced with car parking lots, 24-hour security system, CCTV cameras, etc. Amwaj is one of the most popular communities for expats, it has many nationalities living peacefully next to each other. It’s also a beautiful retreat for Bahrain residents who seek to unwind and relax. The average rental price of apartments for rent in Amwaj Island is BHD 280 for a totally furnished studio and BHD 350 for a furnished two-bedroom apartment. With its direct access to the Dry Dock Highway, Amwaj is only 10-minute drive from Bahrain International Airport, it also can be easily reached from Manama and Sitra. The available Amwaj Island apartments for rent come furnished and unfurnished. Furnished options are pretty pricier than unfurnished ones, they are suitable for those looking for ready flat to move at once. The project includes a number of residential development that teems with apartments like Tala Island, Al Marsa Floating City, Amwaj Lagoon, Amwaj Marina, and other. Weetas has a variety of apartments for rent in Amwaj Island listed in well-curated property lists. Each property is attached with a collection of high-quality images and descriptions giving property searchers an idea about the property status and its specs. Weetas makes it easier for all users willing to search for properties in Bahrain since, they only have to search the lists and pick the most suitable property.